Level 342 of Candy Crush Saga is the toughest level I have personally encountered so far (up to Level 380). Took me about a week to finally clear it. It requires some bit of luck and some strategy to give you the best chance of clearing it. Watching Youtube videos of people clearing the level make it seems like it is easy to clear. Unfortunately it is more difficult than it seems. Moreover, it is not that helpful a guide as the candy layout on the game board is never the same for each game, even for the same level. There is no way you can duplicate their moves on your game board and clear your own game. Having a strategy might help but even if you play to the strategy religiously, you still need some luck to help you clear it. Here are some tips to clear this level. The jellies hidden under the icing cupcakes are random for each game of level 342 and there is no way to tell which of them is hiding a jelly. Thats why a strategy to leave the jelly fishes until the end is required, because that is the only way to clear the hidden jellies. Using them too early would waste them on clearing the easier to reach jellies hidden under the top layers of cupcakes. You will not be able to crack all of the cupcakes within the normal moves allocated, so do not bother. Concentrate on clearing the top first line of cupcakes, it will make your task much easier. But don't neglect the visible jellies on board too, especially the top row. 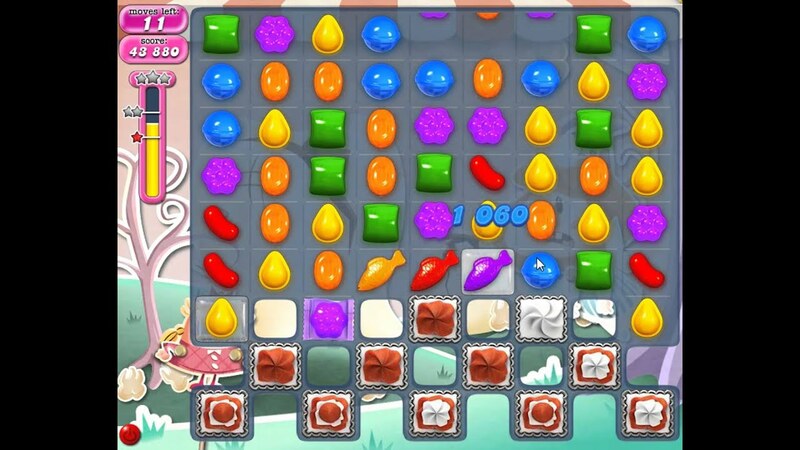 Using mega combos like matching strip with wrapped candies would also help in destroying the harder to reach cupcakes. A fish matched with a rainbow sprinkles would also help because it will mutate into many fishes and help clear a lot of tiles! If you are able to leave the fishes untouched until you have cleared the top line of cupcakes, you should be able to clear this stage. Avoid matching the fishes too early if you can help it, if you really must match the fishes, match it with a stripped candy or wrapped candy for more mileage. Finally, don't give up! Candy Crushers are not quitters! The jellies hidden under the icing cupcakes are random for each game of level 342 and there is no way to tell which of them is hiding a jelly. Watching Youtube videos for this level (or any other levels, in fact) will not do a thing to help your own game - the game board is never the same. Following the tips here would be more helpful to your game. Gracias por su visita, por favor, publicarlo en Inglés. thanks for the info.. but it seems impossible to leave those jellyfishes for last.. but ill do my best.. I think there are jellies under all of the cupcakes. There are 26 total (according to the stats that come up on the Android app), and if you count the visible jellies and the cupcakes it totals 26. The trick is remembering which jellies the fish got to, and that's almost impossible! The tip of saving the fish for as long as possible is a good one, I'm getting closer now. Thanks for sharing that stats! Yes, saving the fishes for the very last is very helpful, although trying to save the fishes for last is a challenge by itself. Just passed this level in 1 day because I lucked out and was able to swap two color bombs...viola! You are spot on! This game is also about luck, especially on the impossible levels! i have been trying to pass this level for over a MONTH! .......... after reading your tips, i passed it in one try... THANK YOU!!! Icing cupcakes? I thought they were rocks. Duh I guess that makes more sense since it is CANDY crush. Omg this level is hard ! Let's hope I get some luck before I throw a tantrum haha .. Thanks for the tips though ! !